Roger Samson, Executive Director of REAP-Canada presented at the Switchgrass II 2013 conference in Madison Wisconsin on switchgrass breeding techniques and the morphology and performance of new switchgrass selections. 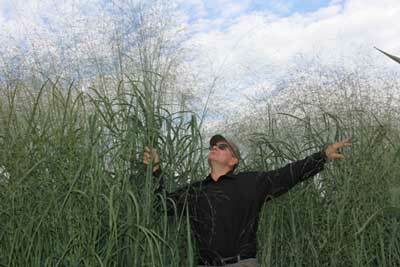 Link: http://www.dfrc.wisc.edu/switchgrass/ presentations/pdf/Samson_Roger.pdf. 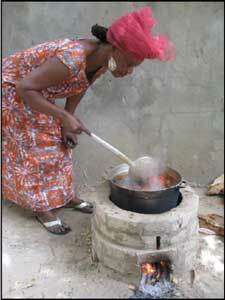 The new REAP Clay Brick Stove - A profoundly simple solution to indoor air pollution! The REAP Clay Brick Stove, or Noflay-"no problem" stove, as it is referred to in West Africa-was designed, piloted and scaled up in The Gambia and Senegal in 2012-2013.The REAP Clay Brick Stove is an innovative, low-cost stove that is safe to use, fast cooking, reduces fuelwood consumption and can minimize exposure to harmful emissions. It is made locally using inexpensive local natural materials. Its innovative design allows it to be used outdoors. A brochure on the REAP Clay Brick stove is now available in French and English. Report - Enhancing the commercial viability of switchgrass on marginal farmland through plant breeding. The report details the breeding methodologies developed and highlights important traits for improving productivity in upland switchgrass populations. A portion of project funding was provided by the sector councils of Quebec & Ontario, who administer the Canadian Agricultural Adaptation Program (CAAP) for Agriculture and Agri-Food Canada. French and English version available here. Erik Delaquis, Research Associate at REAP-Canada presented at the 21st European Biomass Conference and Exhibition, Erik presented a two year study which assessed 11 switchgrass cultivars in Eastern Canada. The development of adapted cultivars specifically for Northern environments fills an important role in the development of switchgrass as a biomass crop, and could lead to increased switchgrass utilization in northern temperate zones of North America and Europe. 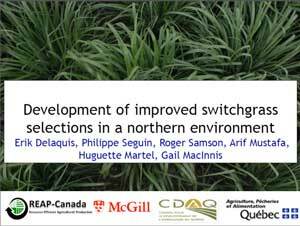 81ieme Congres, Association canadienne-française pour l'avancement des sciences (ACFAS) Erik Delaquis presented a two year study on the assessment of 11 switchgrass cultivars in Eastern Canada. 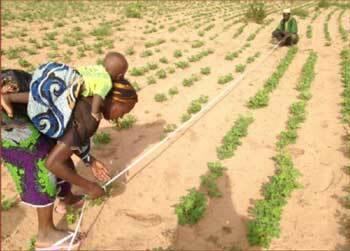 This project aims to strengthen vegetable and fruit tree seed resources in ten communities in Senegal and The Gambia by promoting the cultivation of fruit trees and vegetable varieties using ecological techniques. The project highlights capacity efforts to preserve, test, multiply and disseminate improved varieties within and between communities.